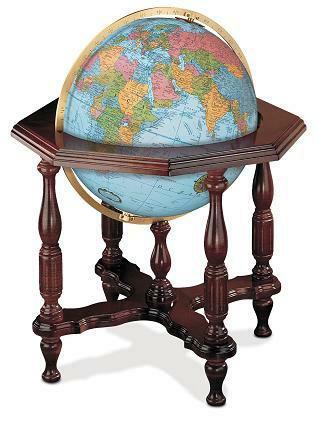 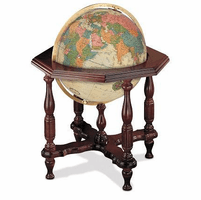 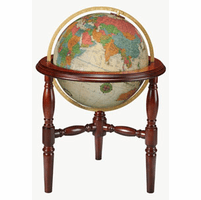 The Statesman globe, by Replogle Globes, is designed in a large 20' diameter size that will make an artistic statement in your home or office. 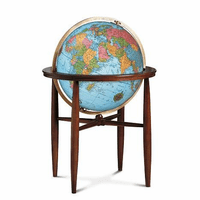 The blue ocean background highlights the multicolored countries around the world, and is illuminated by a light within the globe. 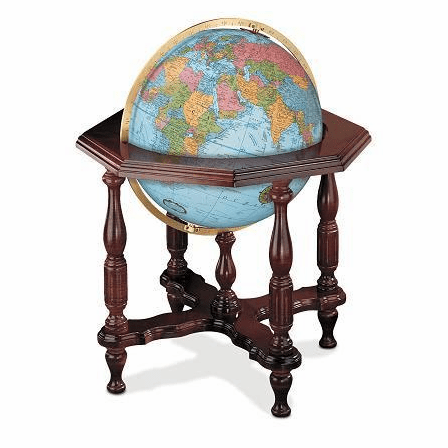 It is mounted on an octagon cutout hardwood stand, attached to an engraved solid brass meridian at both Poles. 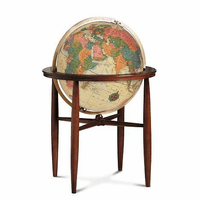 The total dimensions of this spectacular floor globe are 28' x 28' x37'.